Welcome to the blog! Today I’ve got Jim Jackson talking about Scout, Kindle Scout. Amazon brings American Idol to the writing community with its Kindle Scout program. Whether you like Amazon or hate it, you’ll probably agree that it has materially changed the publishing business. It has changed how we buy books (frequently online), how much we pay for books (generally less), and how we read books (often electronically). For authors, Amazon has altered who is published by allowing authors an easy mechanism for self-publishing. Furthermore, they have created their own publishing company with myriad imprints. Starting November 2014 through the Kindle Scout program, Amazon is “outsourcing” to readers selection of which Kindle books they will publish; hence the American Idol meets the writing community line at the head of the blog. Authors submit their books for consideration and Amazon determines which ones enter the program. Readers (“Scouts” in Amazon-speak) have thirty days to nominate books (only once, not like “Chicago voting,” where early and often are acceptable). Based on how many nominations a book receives and other considerations Amazon chooses not to reveal, Amazon makes the final decision about which books they’ll offer publishing contracts. Anyone who has nominated a successful book receives a free Kindle version of the book once it is published. As of mid-March, Amazon had chosen thirty-one books for publication. 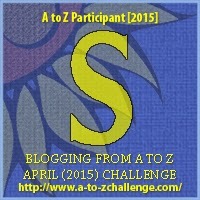 What Authors and Books Qualify? You can find the current Kindle Scout rules online. It is only open to authors over age eighteen with a U.S. bank account and either a Social Security Number or Tax Identification Number. Manuscripts with more than one author need not apply. Amazon only accepts fiction. The program started with three genres and in January expanded to loosely cover all fiction, probably excluding young kids books. Make sure to check their current rules since the program has already expanded once. The book must not have been for sale anywhere, anytime. However, it could have been available for free, say on Wattpad or a personal website or blog. Your book must be in English and complete with at least 50,000 words. You’ll need to have an original book cover. You do not need a synopsis, but you will need to develop a blurb (less than 500 characters) and pitch line (maximum 45 characters). You’ll need a picture of yourself along with a bio, which is also 500 characters or less. The disclaimer. I am not a lawyer, and you should not consider my summary in any way to be legal advice. Furthermore, I am only discussing some of the provisions. If you are interested in the Kindle Scout program, make sure to read the contract thoroughly and seek legal counsel if you wish. Exclusive Period: Should you submit to the program, you give Amazon a 45-day exclusive on your book. You allow them to use all the material you send them and post a portion of your book for Scouts to review. Once the period is over, Amazon will remove the material from their site if they do not select your book for publication. But heck, you’ve written a great novel, people are going to love it. Let’s look at the terms when they sign you up. Rights Granted: Essentially all ebook and audio rights worldwide in all languages. Reversion: (1) After five years if you have not earned at least $25,000 in royalties, you may request your rights back; otherwise the term is extended for another five years. (2) If Kindle Press did not publish the work within six months of accepting it, all rights revert. (3) If after two years there is any consecutive twelve-month period in which you do not earn at least $500 in royalties, you may request rights reversion. (4) You may request reversion of audio rights and any foreign language rights if they have not been published/sold after two years. Advance: US$1,500, payable within thirty days of their final acceptance of your manuscript and when you provide necessary tax and banking information. Editing: Kindle Press may, but is not required to, provide editing. 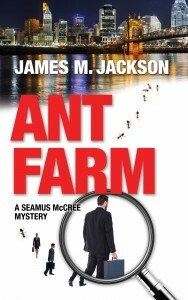 Day 1: I submitted ANT FARM, which is a prequel to the Seamus McCree mystery series, to the Kindle Scout program on Friday, January 23, 2015. Day 4: They accepted it for the program on Monday (the next business day) and let me know Ant Farm’s nomination period would start that Wednesday. Day 6: Ant Farm went live on Wednesday, January 28. Day 35: Last day of nomination process, which was Thursday, February 26. Day 40: Monday, March 2 @ 12:17 a.m. I received an email that notified me Kindle Press would publish Ant Farm (2nd business day after the nominations closed). Someone clearly made the decision the day after the nomination process closed and set up an automatic notification process. Day 40: Monday, March 2 @ 12:18 a.m. everyone who nominated Ant Farm received an email letting them know Kindle Press will publish Ant Farm. The email congratulated Scouts on their good taste and reminded them they would receive a free Kindle version of the book when it was available. Day 41: After I told them there were no changes I needed to make to either the cover or the manuscript, they notified me they had accepted the manuscript. The publication clock starts ticking. I received instructions for providing tax and banking information. Day 54: Monday, March 16 I spoke with my Kindle Press contact. Estimated publication date is April 28 plus or minus a week. They plan to do copy editing and I should shortly hear from the copy editor. Because of my travel schedule, almost four weeks will have passed between my writing this blog and its publication. I’ll provide a status update in the comments section of this blog. 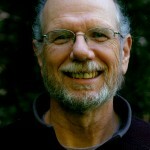 James M. Jackson authors the Seamus McCree mystery series. ANT FARM (Spring 2015), a prequel to BAD POLICY (2013) and CABIN FEVER (2014), recently won a Kindle Scout nomination. Ebook published by Kindle Press; print from Wolf’s Echo Press. BAD POLICY won the Evan Marshall Fiction Makeover Contest whose criteria were the freshness and commerciality of the story and quality of the writing. Jim has published an acclaimed book on contract bridge, ONE TRICK AT A TIME: How to Start Winning at Bridge (Master Point Press 2012), as well as numerous short stories and essays. His website is http://jamesmjackson.com where you can learn more about him, his books and click on convenient buttons to follow him on various social media. Great information about the Scout program. Hopefully they will open it up to people who aren’t in the U.S.
Joanne — so glad this was useful. Cher’ley — You are so welcome. Gosh the time has flown since we were critique partners. The book or books (I can’t remember for sure) you critiqued have been published as BAD POLICY and CABIN FEVER. April 28th is still my target date for receiving my edits.